Now can I maintain the momentum? The Purple Iris socks are coming close to having 6 inches of leg.. soon it will be time to start the heel flap. 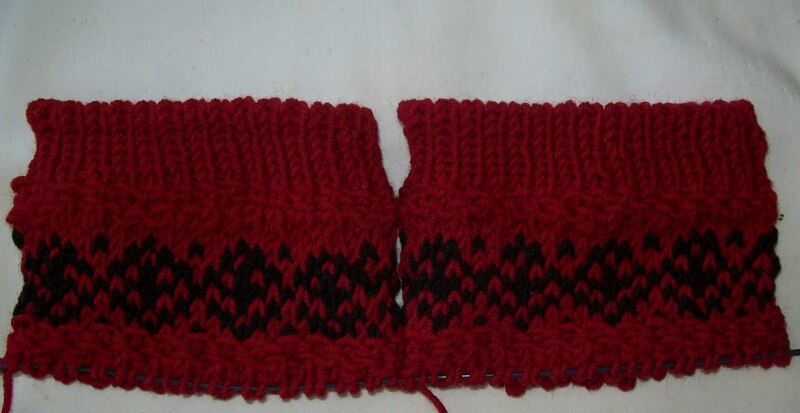 The newest pair of mittens (woman's, red, black and white) have an inch or two done--ribbing and the cuff done. I started with a tubular cast on, then a band of twin knitting chain, a diamond pattern of red and black, and another band of twin knitting chain. Next up is a red and white pattern (which? I dunno) on the back and a simple birds eye or maybe the same lattice stitch I used for the previous ones for the palm. 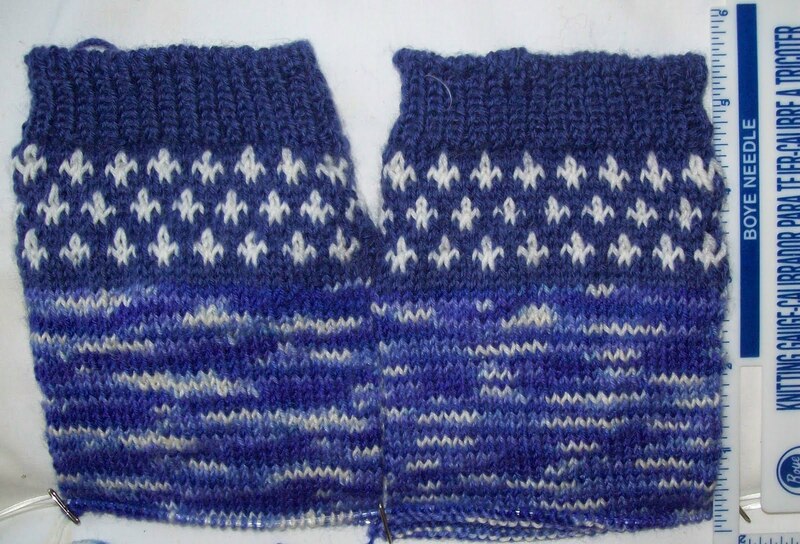 I am going to do the same simple gusset for the thumb—I like the look and the fit of a gusseted thumb. Both the chain detail and the cuff design were taken from Nancy Bush's book Knitting On the Road sock book. I haven't knit a single pair of sock from that book, but I have use elements and stitch patterns in lots of other things—like these mittens (not socks). Aww..you have such a great blog! I am going to have to study study study this! Great info! I'm researching a blanket from a pic and am too new at knitting so will probably lose the order. But I will be back with my needles soon! Thanks for all the great info!